Books help the skilled self-learner, but most students depend on quality teaching. Unfortunately, most teachers depend on chalk-and-talk with not enough drilling and practice. 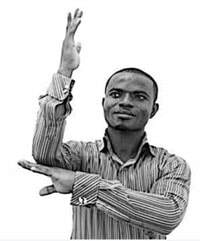 Momosign, in contrast, uses visual- spatial qualities of sign language to engage and activate language learning. Three levels of 30 lessons each mean more than 500 videos available for support in the classroom. The video assist, but do not replace the teacher who needs to master the 6 step lesson plan to be the most effective. The small momosign blue book contains the text of all 90 lessons and can be used for writing, reading and review practice. EDF-Lao is conducting teacher training workshops in momosign throughout the country, meeting the needs of rural teachers struggling to teach without resources or basic skills in English. EDF-Lao is confident that this comprehensive package unlocks learning in unprecedented ways. after witnessing the transformation of hundreds of teachers through momosign. EDF-Lao works to reduce poverty and improve education systems through cooperation with the government and local public sectors. A: Language learning is not solely about grammar and reading texts. 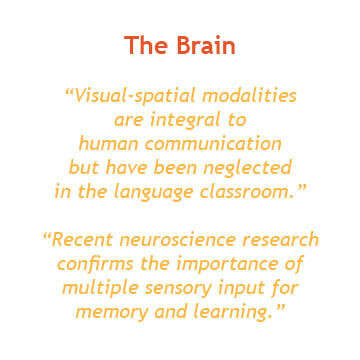 Human communication requires the understanding of visual and contextual cues. 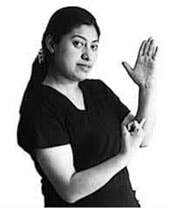 Sign language is the highest form of a visual-spatial language. In essence, the hearing can learn a lot from the Deaf. ​Q: Is sign language universal? A: No. All languages develop from communication within a defined group. 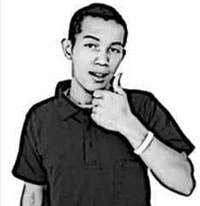 Likewise, sign language will vary from country to country and region to region. Many signs are culturally based or have associations with the spoken language. For example, the sign for tea will refer to dipping a tea bag in one language, but refer to milk tea being pulled (teh tarik) in another. Q: Aren’t the teachers and students being required to learn a third language as well? A: It has never been an issue. It is not even necessary to tell students that they are using a sign language. Using ones hands is a natural component of language, communication, learning and play. Q: How about the teachers? Isn’t it hard for them to learn signs from sign language? A: Children are usually better at it. For this reason, videos support teachers in the classroom, providing consistent examples of signing and native-spoken English for students to hear Teachers are still the stars and can gain new confidence in their teaching abilities. Q: What is in it for the student? A: A positive learning experience in the classroom. 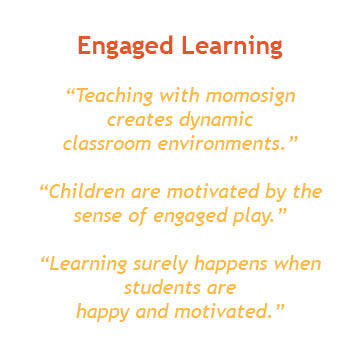 Students become enthusiastic, motivated and focused. With the dominance of smart phones and devices in daily life, it is all the more important in early childhood development to encourage the use of eye contact, facial expressions and physical expression in direct communication. 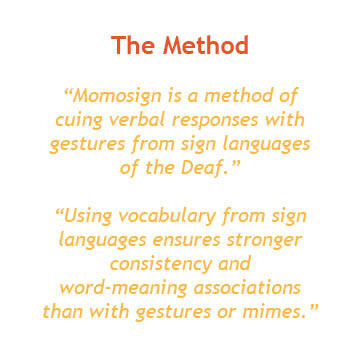 Q: Why call it momosign and not sign language? A: Technically, sign language has a specific grammar and a specific use. Gestures used in momosign use the target language grammar and is used for the hearing, not the Deaf. Q: Can’t we invent our own signs then? A: Sourcing an established sign language ensures better consistency for the teacher and the students. Sourcing a local sign language opens the possibility of communication between the Deaf and the hearing. A: The use of signs and sign language become so widespread that communication barriers are broken down between the hearing and the Deaf. 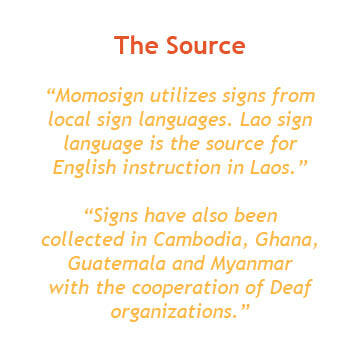 Please support the integrity of momosign by using hand signs from local sign languages and working in cooperation with the local Deaf community. 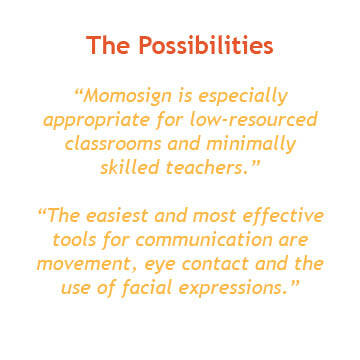 If you are are teacher of second and foreign languages and want to try momosign in your classroom, I am available for consultation and happy to offer advice and support. Developed language teaching methods in Japan, Thailand and Laos.